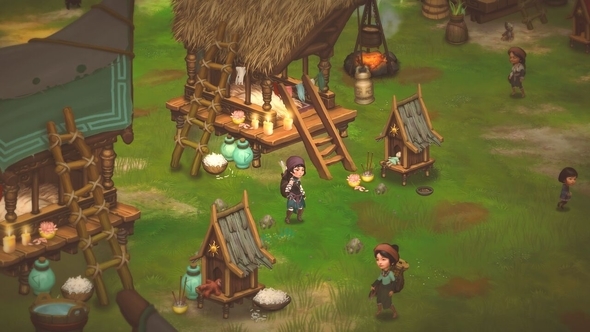 Publisher Curve Digital’s new survival RPG, Smoke and Sacrifice, has just been announced and it looks both beautiful and terrifying. Fancy a bit of roleplaying? Check out our list of the best RPGs on PC. Developed by independent studio Solar Sail Games, Smoke and Sacrifice tells the tale of Sachi, a young mother on a quest to discover the fate of her child. Sachi must venture through a beautiful hand-drawn gothic world inhabited by unsettling plants and animals – who forage, mate, breed, and prey upon one another – as well as harsh societal customs. Sachi must craft, fight, survive, and explore in her quest for the truth. The trailer is both intriguing and disturbing, bearing a resemblance to Don’t Starve but with a hand-painted storybook feel. Smoke and Sacrifice is due for release on PC later this year.